Sleep up to 8 people in this fully-equipped Palm Key Village home. use our promo code below! Located within the beautiful Caribbean themed Bahama Bay Resort, this three bedroom/two bath SECOND FLOOR condo has everything you need for a great vacation in your home away from home! 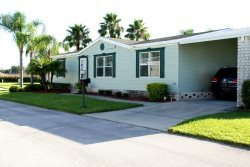 This peaceful gated oasis is just 10-15 minutes from the Disney area, but offers quiet relaxation and plenty of amenities so your family can relax and unwind. Amenities include an on-site restaurant, tiki bar, spa, sand beach, four heated swimming pools with spas, children's splash area, sports courts, and fishing dock on beautiful Lake Davenport. This second floor condo features a fully equipped kitchen, master suite with a queen bed, one bedroom with twin beds, one bedroom with a queen bed, and a sleeper sofa in the living room, two full baths with tub/shower, and washer/dryer. There are televisions with cable in every room, Wifi throughout, and balconies off the living room and master bedroom. The condo is in a convenient location, just steps from the clubhouse and nearest pool and the restaurant, Trade Winds. Reservations are made through the property manager and can be paid in two installments with final payment due 20 days before check-in. The FL 12% sales tax applies to all bookings. Please contact management with questions or to make a reservation! Age Requirements: Guests must be at least 25 years of age to book a room at Bahama Bay. Pets and Pet Boarding: Sorry, pets are not allowed at Bahama Bay. However, pet boarding is readily available at the Four Corners Animal Hospital, located on Highway US-27, about 5 minutes from Bahama Bay (352- 242-1950). Unauthorized pets at Bahama Bay will result in a minimum $250 additional cleaning charge and eviction from the resort. The no pets policy does not apply to service animals assisting guests with special needs. Non-Smoking: All buildings and guest units are non-smoking. Smoking is allowed in the outdoor areas only, such as certain common areas around the resort property, and the guest unit patios and balconies. When smoking on the outdoor patio and balcony areas, please keep the sliding glass doors closed to avoid smoke entering the guest unit. Smoking in guest units, or smoking on the patio and balcony areas that results in the guest unit smelling of smoke, will result in a minimum $250 additional cleaning charge. Southern Dream Vacation Rentals & Management, Inc.